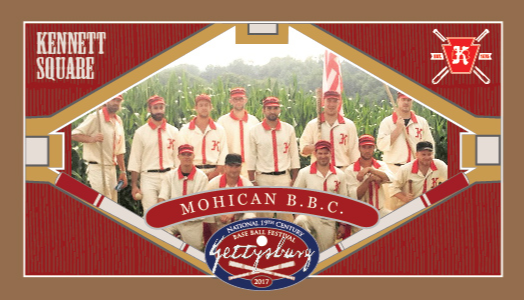 GETTYSBURG BASE BALL CARDS ARE COMING TO TOWN! The Gettysburg National 19th Century Base Ball Festival is coming to town July 20-21, 2018 with 22 clubs from all over the country and we need your help! 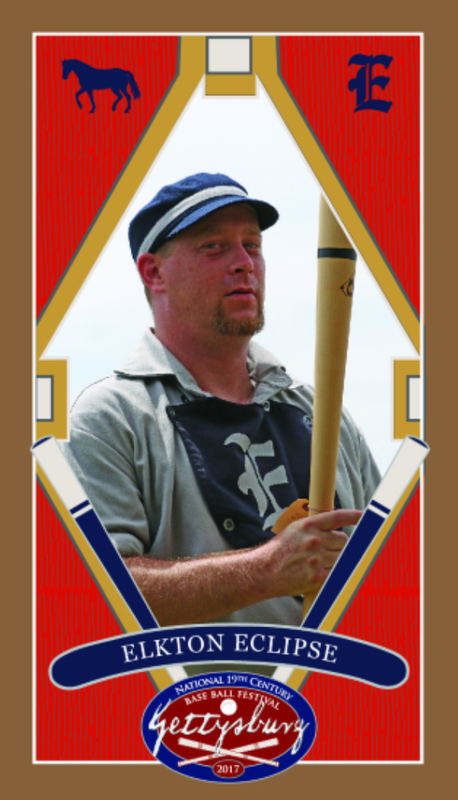 You can help support the Festival by purchasing a Base Ball Card sponsorship. We have only 22 available– one sponsor for each club and each card. Your organization’s logo and/or name can be on the back of cards and you will help to support and publicize the Festival! We have programs with all amounts of cards for you to hand out with your logo on the back! Hand them out when someone purchases something or when someone asks for them. They will be very popular and in demand—-and your name and logo will be on them! 100 Augusta Drive, Elkton, MD 21921. 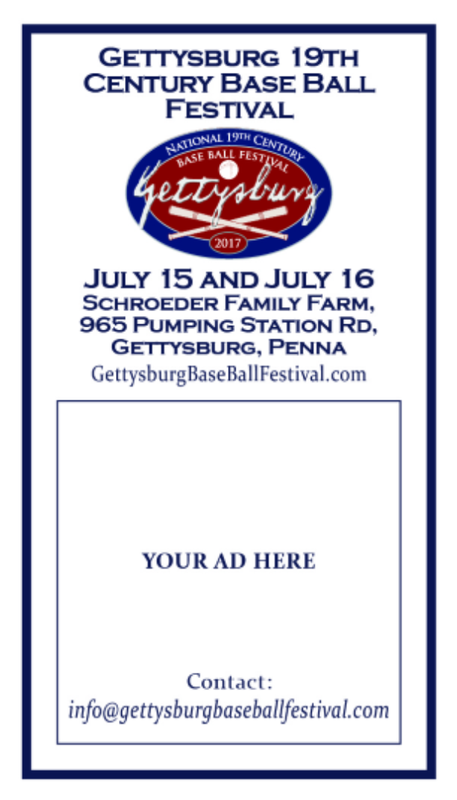 Please email logo to: info@GettysburgBaseBallFestival.com. If you can’t email it, please include it with your check. If you can’t mail a check, please email us and we’ll make other arrangements! Thank you very much for your support!